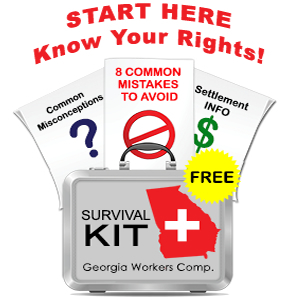 You are here: Home / Frequently Asked Questions / Recreational Drug Use & Workers Comp. Recreational Drug Use & Workers Comp. Your claim for workplace injury benefits can be denied if a blood test reveals the presence of marijuana or other recreational drugs in your bloodstream. However, Section 34-9-17 of the Official Code of Georgia also provides that an employer may deny an otherwise payable claim if a blood test reveals the presence of “any amount of marijuana” or other controlled substance in a blood test administered within 8 hours of the work accident. Specifically the law provides that a “rebuttable presumption” arises that the accident was cause by the use of marijuana or the controlled substance. The burden falls on you, the claimant, to show otherwise. Failure to submit to an employer demanded blood test also creates this rebuttable presumption. Getting past this rebuttable presumption is difficult and cases involving employees who were under the influence often settle for less money and are hotly contested by employers and their insurance company. This law may seem unfair, especially if your recent use of marijuana or other street drugs had nothing to do with your injury (i.e., you were standing in a warehouse when boxes fell on you, or if you were with a group of others injured by machinery). And this is where you make the argument to “rebut the presumption” – that your work injury would have happened regardless of your use of marijuana. Again, however, our experience has been that employers and their insurance companies will use whatever leverage they can to deny or devalue your claim so a positive drug test will be a problem.